Say hello to the world’s smartest hearing aid device! Imagine a new kind of hearing aid device that makes hearing effortless. 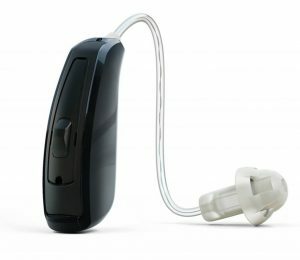 A hearing device that lets you hear more of everything. And everything you hear is vivid, natural. Imagine speech that’s clear, strong and easy to understand. No matter where you are. What you’re doing. Or who you’re listening to. Imagine a video call with a loved one on your iPhone. Listening to the music that moves you on your iPod touch. Or watching a favorite film on your iPad. All through wireless headphones that just happen to be your hearing aid devices. Imagine a hearing aid device personalized to your every need. So small that no one needs to know you’re wearing one. Imagine all that. And you’ve only just begun to imagine ReSound LiNX.